We certainly don't mind competition. We just think that "misleading" TV advertising hurts the whole discount golf industry, not just the golfer who doesn't really get what they paid for. And since Phil is in the lead on Sunday, there may be lots of LGPP commercials again. 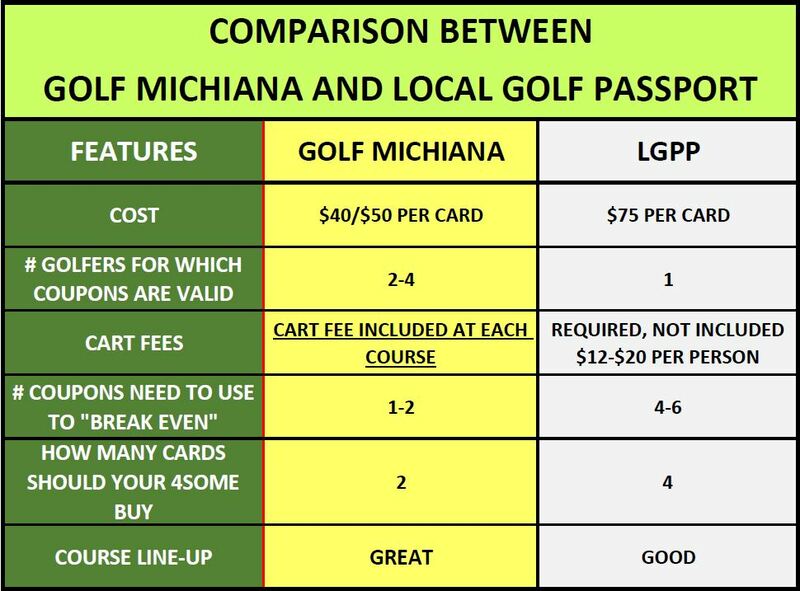 The claim from LGPP that "you can play 20+ courses for only $75" is NOT TRUE!. You are required to rent a cart at each course, which adds about $500 to the claim of only $75 to play this year. Quite the difference, isn't it? How many rounds will your group need to play just to "break even" on the "deal" you are getting? No Gotchya's, No Gimmicks, No misleading statements. A card for TwoSomes. All offers are the same; 2 people golf in a cart for the price of 1 in a cart. Many coupons are even valid for 4 golfers, not just 2. Our website shows all details, hides nothing. You decide!